Of people who can claim to have been everywhere and done it all, Michael Lee Aday is one such personality. Born on September 27th, 1947, this Libran singer-actor from the United States has quite a number of feathers in his cap. 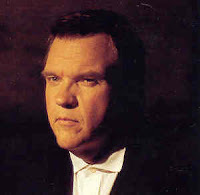 Known by the stage name of Meat Loaf, Adav had a successful music career, engendering some of the largest-selling albums, and breaking several records for chart duration. Adav formed his first band Meat Loaf Soul subsequently with his acting career right after graduating from Thomas Jefferson High School. His work was so impressive that during the recording of his first song, he bagged three other recording contracts. Meat Loaf SoulÂ’s first gig was in Huntington Beach at the cave, opening for THEM, Van MorrisonÂ’s band. The band later did the opening act at Cal State Northridge for Renaissance, Taj Mahal and Janis Joplin and started to undergo various changes like changing the bandÂ’s name each time - including Popcorn Blizzard, and Floating Circus. Meat Loaf received an invitation from Motown Records for a duet with American female singing sensation Stoney Murphy. The album, titled Stoney & Meatloaf (Meatloaf being shown as one word), was completed in the summer of 1971 and released in September of that year; it ranked number thirty six on the R&B charts and seventy-one on Billboard Hot 100 chart. Prior to this Motown Records, Meat Loaf was engaged with LA production of HAIR- the American Tribal Love- Rock Musical. . A product of the hippie counter-culture and sexual revolution of the 1960s, several of its songs became anthems of the antiÂ–Vietnam War peace movement). After the Album Stoney & Meatloaf, Meat Loaf rejoined the cast of Hair, this time on Broadway. In 1973, right after returning from a short production of Rainbow in New York in Washington D. C Meatloaf received played the part of Eddie and Dr. Scott in The Rocky Horror Show. The success of the play led to the filming of the Rocky Horror Picture Show. About the same time, Meat Loaf and Jim Steinman (An American record producer, composer, and lyricist responsible for several hit songs. He has also worked as an arranger, pianist, and singer), started working on the album Bat out of the Hell. It was during the making of this album that Meat Loaf decided to leave theatre and concentrate entirely on music. This turned out to be a period of clamber for Meat Loaf and Steinman as their approaches were rejected by each record company because their compositions did not fit any specific recognized music industry style. Finally, they performed the songs for Todd Rundgren who decided to produce the album, as well as play lead guitar on it. On October 21, 1977, Bat out of Hell was released and its success knew no bounds. This was soon followed by Ted Nugent's Free-for-All in 1976. When regular Nugent lead vocalist Derek St. Holmes quit the band, Meat Loaf ended up singing lead on 5 of the album's 9 tracks. In 1978 In the middle of recording his second album, Bad for Good, Meat Loaf lost the ability to sing; the real cause still remains unclear. Doctors opined that it was more of a psychological problem that brought about this tragically drastic change in this legendary singer’s career. Just as his singing career seemed to be reaching a dead end, he got the role of Travis Redfish in Roadie. The movie had cameos by Debbie Harry, Roy Orbison and Hank Williams, Jr., but still bombed at the Box Office. Meat loaf resorted to drug addiction unable to cope with this pressure. This led to his suicide threat off the ledge of a building in New York. However overtime Meatloaf got his voice back and managed to overcome his drug problem. The struggles that Meat Loaf faced making Bat out of Hell paid off. It now has sold more than 37 million copies worldwide, making it one of the biggest-sellers of all time. In the UK alone, its 2.1 million sales put it in 38th place. The 1980’s saw him in a bankrupt condition. His attempts to create and sell music conked out completely. This started with the firing of his manager Dellentash and Sorenberg who were cheating him on his money. They in turn froze all of his assets and sued him for breach of contract. Meat Loaf headed off to England in 1984. There he recorded the album Bad Attitude, which included a duet with Roger Daltrey. Two songs written by Jim Steinman in 1986, when Meat Loaf found a new writer, John Parr, and started recording a new album, Blind Before I Stop. Unfortunately, the producer put a dance beat underneath every song, resulting in a write off by the critics. Meat Loaf condition worsened, he eventually lost everything. His relationships with lifelong friend Jim Steinman and Leslie also deteriorated. But perhaps the love of music and a burning passion kept him going. He started touring small venues, anywhere that would have him, such as pubs and clubs. His attempts soon liquidated. Slowly, he developed a faithful following which grew to the point where they were unable to fit into the venues that Meat Loaf was playing. This carried on until the late '80s, where he began to sell out arenas and stadiums again; including over 10,000 tickets at The Ohio State University The success of this tour put meatloaf back on the map. Meat Loaf got back with good old buddy Jim Steinman to work on Bat Out Of Hell II which was finally released in 1993, sixteen years after Bat Out Of Hell. The album was an instant success and is considered one of the greatest comebacks in music history. He released Blind before I Stop in 1986. He was pretty active during the 90’s with release like Welcome to the Neighborhood, and The Very Best of Meat Loaf topping the charts. In 2003 Meat Loaf released his album Couldn't Have Said It Better. The album was a minor success worldwide but reached #4 in the UK charts. This was accompanied by a sellout world tour which was used to promote the album and some of Meat Loaf's biggest hits. Meat Loaf had begun to work on the third installment of Bat out of Hell with Steinman. The album was released on October 31, 2006. Meat Loaf sold out over 160 concerts during his 2005 tour. This versatile musical genius has had an eventful lifetime. His is said to have deceived death many a times. Couple of instances are having his car crashed and rolled over, been hit on the head with a shot put. He was also struck by Wolff-Parkinson-White Syndrome. In October 2006, his private jet had to make an emergency landing at London's Stansted Airport after his plane's forward landing gear failed. Just like his life, Meatloaf’s musical career has been a roller coaster ride, his success ranging from extreme highs to depressing lows. But his never say die attitude kept him going and has embarked him as a sovereign in the realm of music. Here’s wishing him the very best of luck and success for his forthcoming ventures.